In the latest Ashes clash, we examine the role of the back-up wicketkeeper - and who deserves to play understudy to captain Tim Paine. Joe Barton, Russell Gould and Martin Gibbes argue the cases for the frontrunners for the role for the Ashes tour. No more delays, no more denials! The wicketkeeper of the future's time is actually right now. Aaron Finch made the mistake of leaving Carey out of Australia's recent T20 game in India and the standard of play behind the stumps slipped alarmingly. Let's hope Aussie selectors don't make the same misguided call for the Ashes. 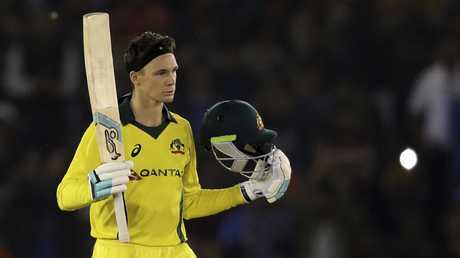 Unfortunate to be in Tim Paine's shadow in the hasty restructure of Aussie cricket in the wake of sandpaper gate, the South Australian's opportunity can't be denied in England for what will be perceived as a quick batting fix. Carey has the full package - and that's what Australia needs. If the Aussies have learned anything over the years from a five-Test series squashed into six weeks it's the need for a proper back-up wicketkeeper. In 2009, with Brad Haddin on the shelf midway through the tour, Graham Manou stepped up for his sole Test appearance at Edgbaston. He took three catches including a nice grab to get rid of Andrew Strauss. And then there was Peter Nevill in 2015. With Brad Haddin unavailable for the second Test at Lord's, the Blues custodian was drafted in and didn't relinquish the position for another 18 months. Carey is an excellent technician behind the stumps to both pace and spin and won't leave hearts in mouths with his footwork Oh, and he can bat as well and is more than capable of filling that batting void at No.7. Just give him a chance! Ian Healy, for one, is a fan. "He's a really good performer, and most teams he's been part of have had success. That's the type we want in there." That's good enough for me not only for the Ashes but also well into the future. Peter Handscomb is not everyone's cup of tea. His batting technique makes him a go-to for the critics, and some called him a "walking LBW" on his Test return this summer. When he was exited from the team first ahead of Boxing Day, and then for the Sri Lanka series, plenty said fair enough. But in five innings against India Handscomb was out LBW once. All told, in his 16 Test career, in which he has twice made 100, in which he averages nearly 40, Handscomb has been out leg before wicket just six times in 29 innings. Five times at Test level, including once in India when he batted for the best part of a day with Shaun Marsh, Handscomb has been not out at all. 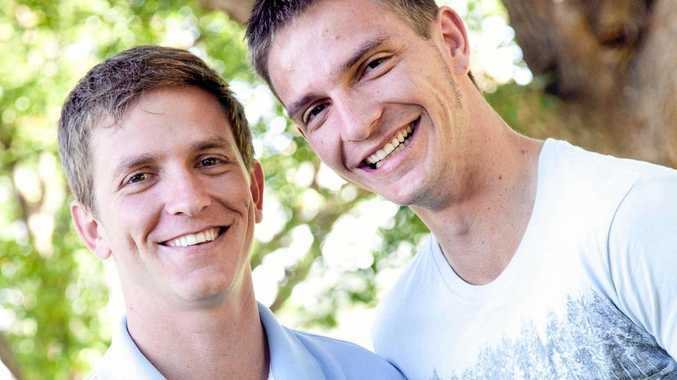 For some, when it comes to Handscomb, people can't see the forest for the trees. When he underperformed in an underperforming side he was the easiest one to drop, because he looked a bit awkward. He's got 14 first class hundreds, and a double-hundred, looking awkward. He's Victorian captain too, illustrative of how well he is thought of by those in charge there. Handscomb is also a part of Australia's ODI and T20 teams. The selectors like what he brings. What he brings is runs, and while they make not be in the fashion that creates comfort for fans, they do come. It's unfair to say Handscomb demands Test selection ahead of most of the incumbents, although he wins a toss-up with Marnus Labuschange. 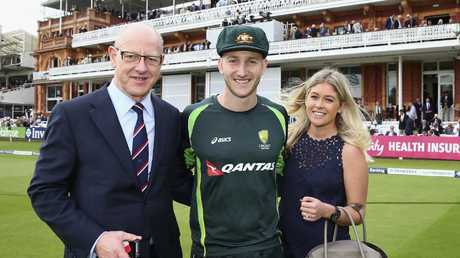 But he's in that group of Australia's best batsmen and would not look out of place under a baggy green at Lords. We're picking a squad to win the Ashes here - and Australia should want to cover as many bases as possible. 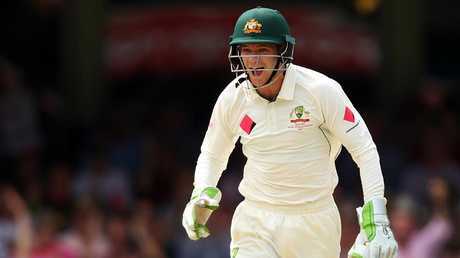 With skipper Tim Paine, the crispest gloveman in the country, in absolutely no danger of losing his spot this winter. Naturally if the argument is that Australia should pick the second cleanest gloveman, then there's no question it should be Alex Carey. 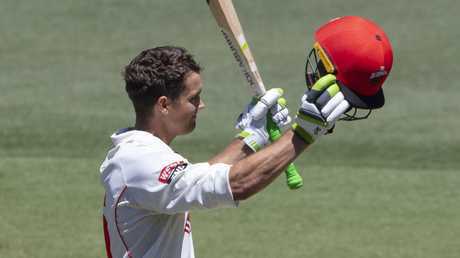 The South Australian star is neck-and-neck with Paine behind the stumps. But for squad balance, Matthew Wade makes far more sense. 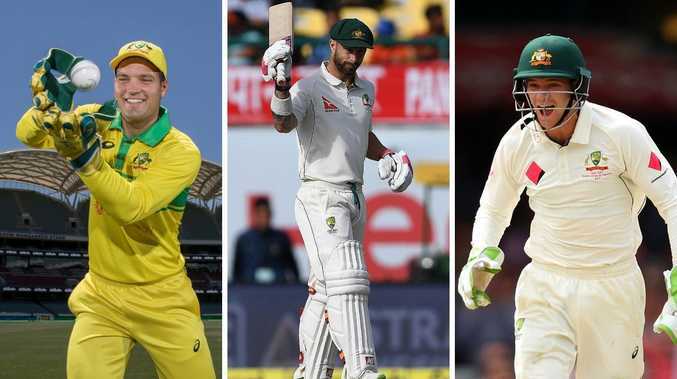 Australia's biggest question marks surround its feeble middle order - and Wade could tick two boxes as a capable back-up keeper as well as an in-form replacement batsman. No player has played better in all three formats this summer without getting a look-in for higher honours, with Wade pounding in the runs for Tasmania. Only Marcus Harris has scored more than Wade's 750 Shield runs, and it opened the Test door for Harris. There will be cries about Wade's ability with the gloves - and it's true he's not always proven to be the cleanest behind the stumps - but in his final Test tour of India, he showed great improvement. In picking Wade, you not only get a reliable back-up keeper - with 22 Tests to his name - but a man who could feasibly be considered in the country's top six batsmen. In the worst possible scenario, where Paine goes down on the morning of a game, Wade will not be overawed by the occasion.